UNLV coach Marvin Menzies figured his team would see a lot more 2-3 zone defenses after his team struggled against it in a 63-59 loss to TCU on Friday night. 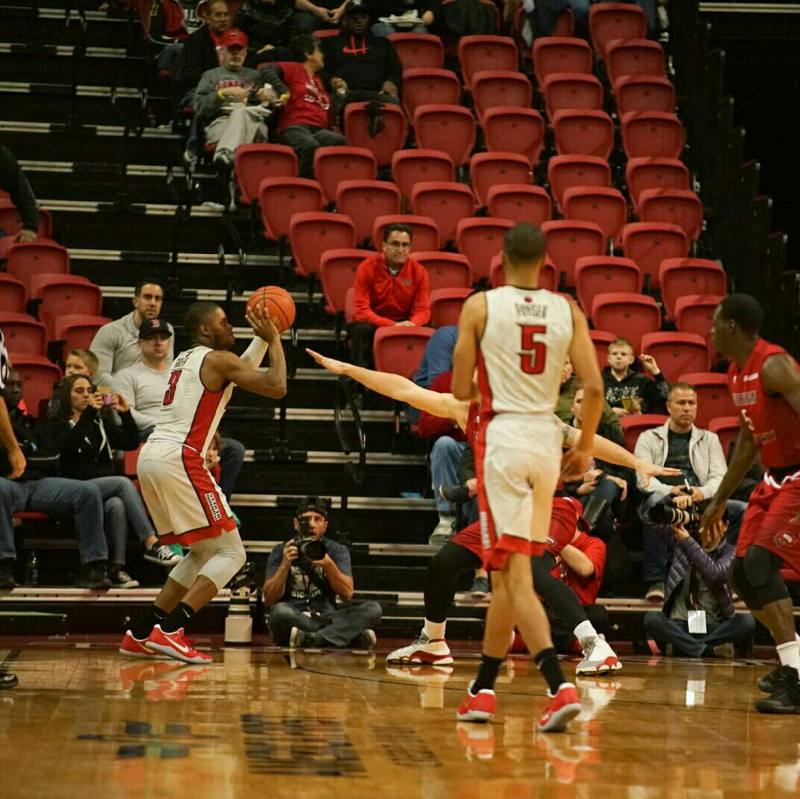 Less than 24 hours later, Western Kentucky tested the Runnin’ Rebels with it again. 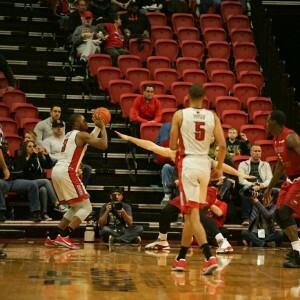 This time the results were much better for UNLV which connected on 13 3-pointers in a 71-61 victory over the Hilltoppers in the consolation final of the Global Sports Classic at the Thomas & Mack Center. Senior forward Tyrell Green continued his hot shooting, connecting on 5-of-6 3-pointers en route to a career-high 23 points, and sophomore guard Jalen Poyser just missed a double-double with 22 points and nine assists to lead the Runnin’ Rebels (4-2). Poyser was 6-of-11 beyond the arc for UNLV, which shot only 42.1 percent from the floor but was better from 3-point range (13-of-29, 44.8 percent). UNLV actually shot better from 3-point range (9-of-19, 47.4 percent) in the loss to the Horned Frogs but offset that by committing 19 turnovers. The Rebels finished with just 11 turnovers on Saturday. “It was good to see them bounce back and learn from yesterday,” Menzies said. 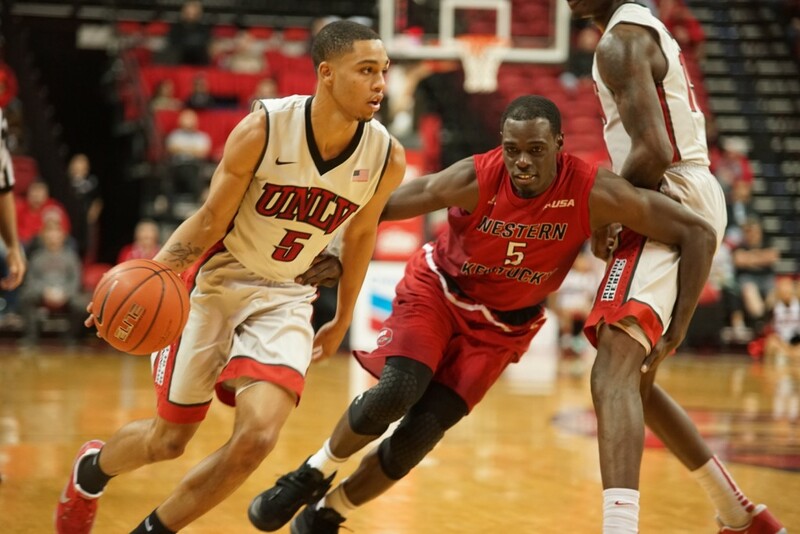 Still, Western Kentucky (3-3) led 30-28 at halftime and trailed just 60-56 before Green delivered a daggar 3-pointer with 1:25 left to start a 11-3 UNLV run that included eight consecutive made free throws by the Rebels, including four in a row by Poyser. The 6-foot-7 Green has been having a lot of those days so far this season. The senior from Toronto has connected on 14-of-24 3-pointers this season, a sizzling 58.1 percent that leads the team. Poyser (18-of-41, 43.9) also is off to a hot start beyond the arc and leads the team with a 18.2 average. “I’ve been working on it all summer, really being more consistent with my jump shot, and it’s a factor right now,” Poyser said. Forward Dwayne Morgan finished with eight points and six rebounds and guard Kris Clyburn added six points and a game-high 11 rebounds for the Rebels, who finished with a 38-33 rebounding edge. With the National Finals Rodeo now taking over the Thomas & Mack, UNLV will hit the road the next two weeks starting with a Wednesday night contest at Southern Utah and former interim Rebel head coach Todd Simon. UNLV also plays at Arizona State on Dec. 3 and faces Duke at the T-Mobile Arena on Dec. 10 before returning home on Dec. 14 to play Incarnate Word.